Following their very successful race weekend at the opening round of the 2016 GP2 Series at the Spanish circuit of Barcelona, where their new driver Norman Nato won the Feature Race and Jordan King finished third in the Sprint Race, this weekend Racing Engineering travel to Monaco with the intention of winning again. Round two sees the GP2 cars and drivers at that most glamorous of racing venues, the streets of Monte Carlo where the smallest mistake can mean instant retirement and where, more than any other track, a good performance in qualifying is vital to a good race result. For Norman this is an opportunity to continue his excellent start to the season that see him lying second in the Drivers’ Championship and Jordan, sixth in the Championship, will be looking to take his first win in GP2 and to stand on the podium again. In a change to the normal GP2 programme practice and qualifyin! g will take place on Thursday and for qualifying the drivers will be split into two groups, one driver from each team in each group, to avoid overcrowding on the track when looking for a fast lap. The Feature Race will be run on Friday morning and the Sprint Race on Saturday afternoon. Due to the relatively low speeds at Monaco Pirelli will be supplying their P Zero Yellow soft and P Zero Red supersoft compounds to the teams. 1. The Monte Carlo circuit is an urban race track located in the Principality of Monaco. 2. Monte Carlo is a special race for our driver, Norman Nato, since it can be considered his home race as it’s very close to Cannes, where he lives. 3. The circuit is a maze of walls and protection barriers, where drivers’ concentration, speed, bravery and precision, are put to the test. 4. In Monaco, traction and stability are more important than power and speed. 5. Last year, Racing Engineering‘s driver Alexander Rossi topped the qualifying session and finished second in the feature race. 6. The narrow circuit determines races in Monaco. It places race strategy and the ability of the driver above all other factors. 7. The first race in Monte Carlo took place in 1929. It was also the first time in history that a starting grid was defined by a qualifying session. Until then grid positions were determined by a draw. 8. The Fairmont Hairpin forces drivers to be very careful. Not only is it a very slow 180° corner, but it is also downhill. 9. The circuit has 19 corners: 10 right-handers and 9 left-handers, besides the start-finish straight, which is actually a very open corner. 10. In Monaco, the qualifying session is divided into two groups. Norman Nato will drive in group A and Jordan King in group B. 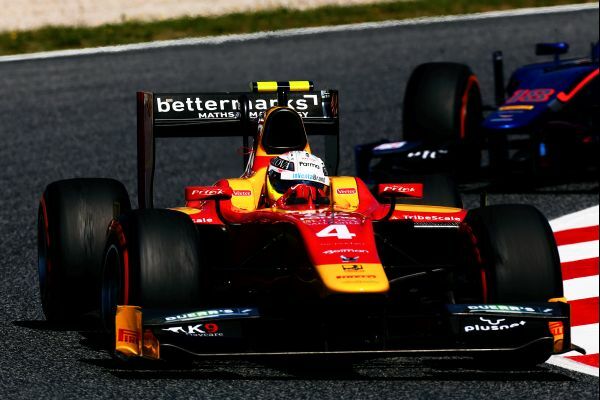 • The average speed around the track is the lowest of the year, just 158km/h in F1 and only 140 km/h in GP2. • There is not big difference when it comes to throttle use during one lap, 50% in F1 vs. 52% in GP2. 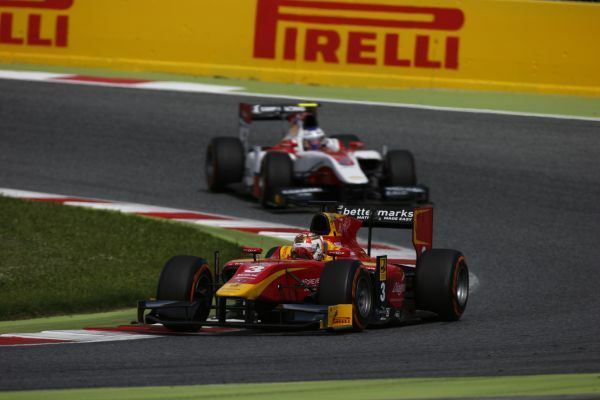 • F1 top speed is 305 km/h – GP2 is 270 km/h. • F1 drivers will change gear 62 times per lap against the 37 times that a GP2 driver will have to do. • Race distance is different: F1 goes around the circuit for 78 laps and GP2 does a total of 70 laps during its two races- 40 laps in Feature Race and 30 in the Sprint Race. • Downforce levels are alike but still different: Maximum downforce levels in F1 against high levels in GP2. • Pole position in F1 was set in 2015 at 1:15.098– Pole position in GP2 was set in 2015 at 1:37.019.